This is an issue that plagues most gals who love to wear eyeliner (i.e. every female who wears makeup). I rarely walk out of the house without at least a swipe of black liner on. In order to look at all pulled-together, it's a must have. Inevitably, my liner travels to the corners of my eye giving me an unintentionally smudged droopy eye effect. It's gorgeous let me tell you. A: Your best bet for liners are the gel, liquid or cream options. Often, kohl pencils contain oils that make them smudgy so they glide on easily but just as easily slide off. Your skins natural oils also speed up the raccoon eye process. If it's an especially hot day out, your body is going to produce more oil and sweat that will literally sweat off whatever you have on your eyes. Before offering up my product suggestions, here are a few tips to keep your traveling liner at bay for at least a few hours. To add a barrier between your skin and your eye makeup, dab a primer followed by a concealer onto your lids and underneath your eyes. 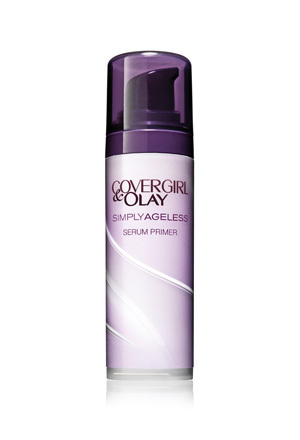 A primer will make your makeup last longer and smooth out your pores so makeup doesn't cake or crease. 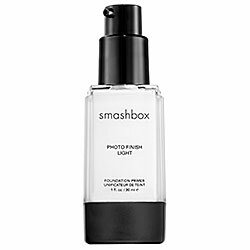 I love Smashbox's Photo Finish Foundation Primer, Urban Decay's Eyeshadow Primer Potion or COVERGIRL & OLAY's Simply Ageless Serum Primer. 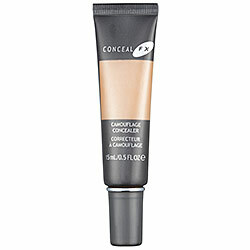 Concealer adds another protectant and also covers up any discoloration or unevenness. Apply an under eye concealer and dust a loose/translucent powder over the concealer. This will keep the makeup in place. The primer, concealer and powder will keep the liner from traveling down because liner smudges when there is a lot of oil around the eye area. By concealing and powdering, the area is kept smooth and oil-free. Use a concealer that's a little tacky (as in a little sticky and not too creamy). A more textured concealer like Cover FX Conceal FX Camouflage Concealer ($27.00) will last longer and be more resistant to the heat and your own sweat. 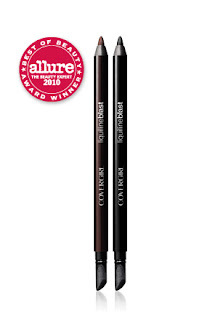 1) CoverGirl's LiquilineBlast liner ($8.99) looks like pencil but has a smooth gel consistency and a smudger on the end, so you can actually wing out a smoky eye if you want. I like the intensity of the color and the formula of the pencil which has the staying power of a liquid. Plus, at $8.99 this drugstore beauty buy is ATM approved. 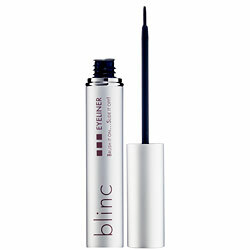 3) Blinc Liquid Eyeliner ($24.00) was created after the tremendous success of the line's smudge-proof mascara. The famed-product formula "tubes" together and binds to your lashes, creating a polymer-like consistency that comes off with warm water. Like the mascara, Blinc liners forms a water-resistant "layer of color" that binds to the lash line and comes off with warm water using the same "tube technology". Customers complained the brush applicator was a bit tough to use, but the formula is without fail smudge-proof. 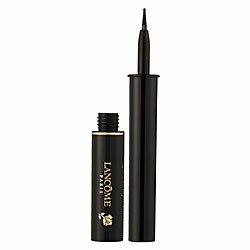 4) Lancome ARTLINER Precision Point Eyeliner ($29.00) This famed liquid liner features a combination of two film-forming polymers that make the formula last all day. 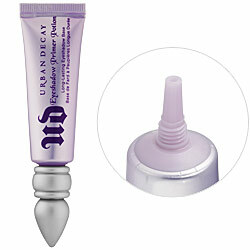 The tip is easy to use and the consistency is rich and intense. It's a customer and makeup artist favorite. 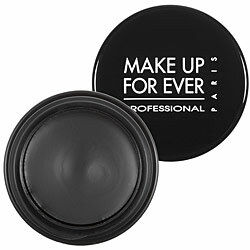 5) Make Up For Ever Aqua Black Waterproof Cream Liner ($22.00) This little puppy does not budge. It's my favorite liner right now and what I use every day. 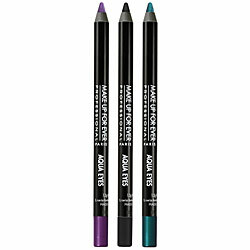 While it's not a liner you can apply on the go, when you do line your eyes in the morning you won't need to touch up for the rest of the day. The creamy formula comes in a pot with a protective cover because the less exposure it has to air the better and longer the consistency lasts. By keeping the lid on tight the liner keeps from drying out. It's the ultimate black eyeliner and gives you drama without looking Goth. LOVE IT. So, here are my smudge-proof liner recommendations. If you have any other favorites I haven't mentioned let me know. What's working for all of you? 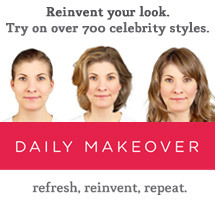 If you're in the market for a reverse Raccoon Look, test out some of my favorites. A life without liner is no life at all, but let's be honest, a life without leaky liner would be smudge-free perfection!